A well-defined product photograph with the right exposure, shadow, and other elements is the key to successful branding, but are you getting the best out of your product photos? Is your audience less impressionable to your product photographs? 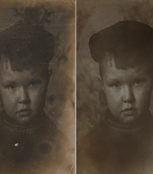 No matter what concerns you face we have just the solution you need to fix your photos using professional editing tools. 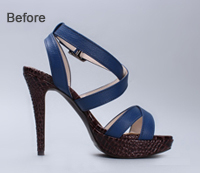 Photoshop shadow creation services from a specialist like us can leave your audience blown away with the quality of your product photos. 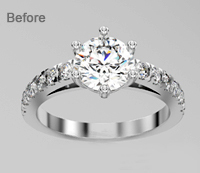 When you choose Outsource2india’s photoshop shadow creation and optimization services, we can seamlessly bring back the lost charm to your photographs with reflection shadows, natural shadows, drop shadows and original shadows. All that without costing an arm and a leg. Our approach is hinged on analysis of the photo composition to take the best course of action. We can add high gloss reflections to give your product photographs a premium feel. 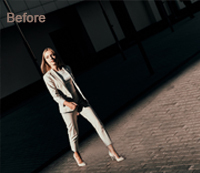 By using Photoshop our team can add reflection shadows to fashion products, consumer products, and electronic gadgets to illustrate space and luxury in the finest form. 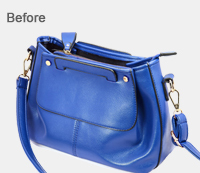 Product photos without soft natural shadows can look artificial and less sales-worthy. This is countered with the addition of natural shadows using Photoshop. With diligence, we will add soft shadows to the image background causing products to pop and inspire viewers to click the purchase button. 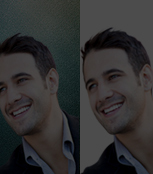 Thanks to inbuilt filters in Photoshop, drop shadow can be created with just a simple click. This option can help our editors to create realistic shadows in the product background at any preferred angle. 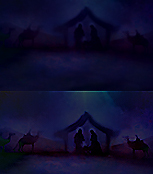 We can also adjust the opacity of the shadow to introduce a glow to the product. Photographs shot in low lit conditions often lack sharpness and depth to engage your audience, especially if the shadow is invisible. This can be overcome with shadow enhancement using Photoshop. We can professionally enhance the artifact’s shadow under natural light. The shadow can also be enhanced if they are faint and insufficiently exposed in the frame. 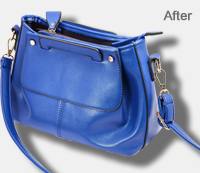 Why Choose Outsource2india for Photoshop Shadow Creation and Optimization? Outsource2india is an ISO 9001:2015 accredited and GDPR compliant Photoshop editing company that offers reliable service along with unmatched client experiences. Your data is always secure with us because we are ISO/IEC 27001: 2013 certified provider of photoshop shadow creation and optimization services in India. Our loyal clients have always stood us by supporting our unwavering commitment to data protection. 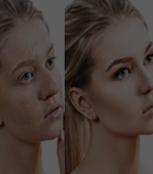 We know that you accept nothing short of the best quality, so we stop short of delivering nothing but the best Photoshop shadow creation services. Our services can offer you 100% quality satisfaction at a reasonable cost. We can deliver your finished images in a quick turnaround time because we have the right resources to help you accomplish desired results without the tentative wait. Photoshop shadow creation and optimization services can be scaled to your budget flexibility and the number of unedited files. If the requirement is variable we can accommodate your needs without risk. If you are looking for customized Photoshop shadow creation services we can be your one-stop shop solution because our prices are flexible and budget-friendly. We provide a dedicated point person to all our clients whose role is to assist you with personalized support as well as reports. Our single point of contact can bring you up-to-date information from the editing team so that you are completely aware of the process and progress. We use the latest version of Photoshop editing software so that every latest feature is accessible to our editors for accomplishing results just the way you want. We have an in-house team of 500+ image editing experts who are highly creative and possess the ability to interpret your needs with precision. O2I’s Photoshop editors carry over 10 years of experience in rendering high-quality images for clients. We are housed with the best of security, software, and hardware infrastructure that facilitates fast and professional Photoshop shadow creation with minimum efforts or delay. 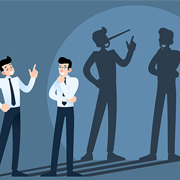 Transfer of image files over the internet can be risky if it confidential. Therefore, we provide VPN and SFTP facility that would allow you to send image files without any concerns. Our support teams work round-the-clock and are available to support you at your local time zine. Our team can be contacted by phone, email, or web chat support to get a swift response. 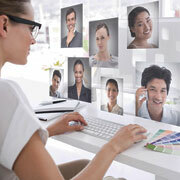 O2I was contacted by the UK client to outsource image enhancement using Adobe editing software. The client was unable to deal with the overwhelming workload and we mitigated their worries. 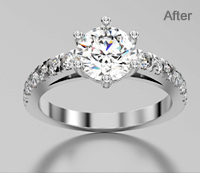 O2I is an internationally acclaimed image editing services provider with 20 years of experience in Photoshop services. 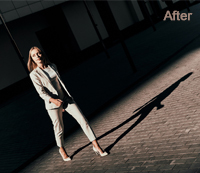 We have the skill and infrastructure to carry out Photoshop shadow services to enhance the aesthetic quality of your photos. We are pitted against the best competitors and have cornered a fair share of the market with offshore photoshop shadow creation and optimization services. 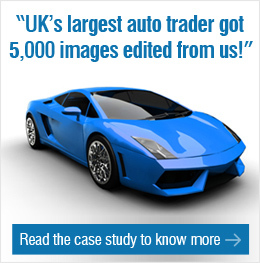 Get maximum benefits time and money wise by considering us for editing your images. Our global contact center agents are just a phone call away and that’s not it. You can even reach us via your preferred means without constraints. Our solutions also include image enhancement, image clipping, Post Processing Real Estate Image, image manipulation, and more. For more information about our offshore Photoshop shadow creation and optimization services, prices and plans, Contact us today!